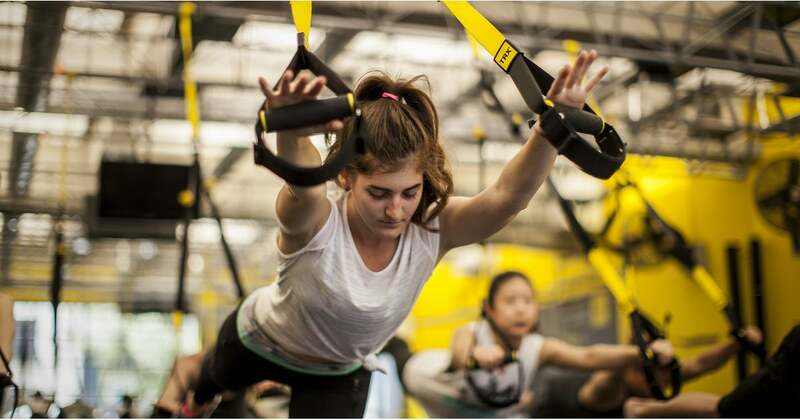 Welcome to the “TRX full-body circuit party!” This badass gym workout was brought to you by Michelle Opperman, regional group fitness director for Crunch Gyms in San Francisco. Michelle included four warmup exercises before you actually get into the circuits. Don’t skip out on them! They’ll prepare your body for what’s ahead. Once you get started with the meat of your workout, you repeat each circuit twice before moving onto the next one. Descriptions for each movement are ahead.